You have selected your beautiful slab of granite, designed a kitchen countertop, and finally installed a piece of rare earth in your kitchen. What now? We always talk about granite being so low-maintenance, so you might not be aware that your granite ought to be sealed. Not that this is true of every granite—but for more porous, light-colored stones, a good seal is necessary to preserve their beauty for years to come. Unlike wood sealants or varnish, granite sealant doesn’t coat the stone and add a glossy finish. In fact, when properly polished, granite is quite shiny on its own. Rather than laying on top of the granite and shielding it from the elements, granite sealer actually penetrates the stone and fills in porous cracks that can absorb stains. Because it “impregnates” the stone, granite sealer doesn’t protect the surface of granite from scratches or scuffs. Again, the granite is hard enough on its own to withstand anything that a lacquer finish could withstand. 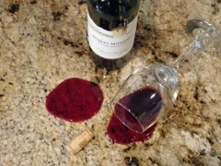 Instead, granite sealer makes the stone impervious to stains of all kinds. Many granites, especially black granites countertops, are so dense that are not only stain-resistant, but they won’t even absorb the sealer. Applying granite sealer to a stone like this will just leave a filmy residue on the surface of your stone, ruining the polish. To see if you granite needs a seal, try the lemon juice test: drop lemon juice on the surface and see how long it takes to absorb. If it takes a minute or two to absorb the lemon juice, the stone needs a sealer. Which Granite Sealer Should You Buy? With so many products on the market, and so many new ones appearing every year, it can be hard to keep track of the latest and greatest granite sealer. If money is no object, we recommend the SenGuard DIY Sealer Kit. With an instructional DVD and a one-time seal guarantee, this kit makes it easy to seal your granite to perfection. However, the Stone Care Impregnating Sealer by MB is also an excellent product for a fraction of the price. 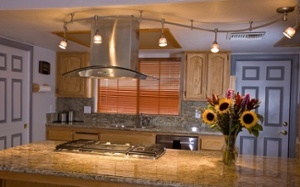 Do you have questions about granite or quartz countertops in Chicago? Request a free consultation or visit our office.